As promised here is a little guide to Dunedin with some of my picks for things to do, see and eat. While this isn't a definitive or very in depth guide, it is a list of my favourite spots. 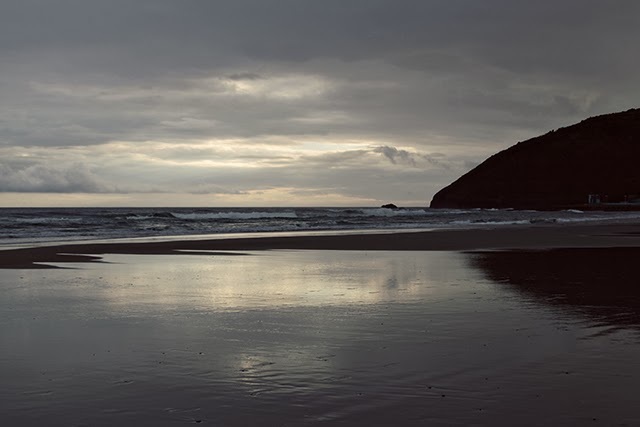 Like I mentioned in previous posts, Dunedin has so much to offer and I truly think it is underrated, and definitely worth a stop when in New Zealand. 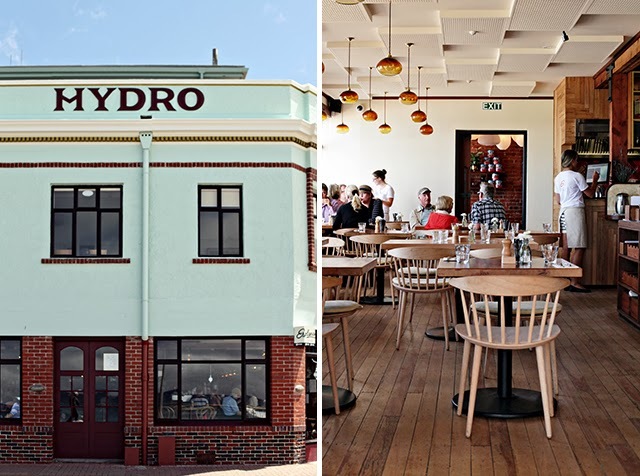 Esplanade - down by St. Clair beach, this is one of my new favourite spots to eat in Dunedin. With a cool interior and super yum food, it's hard to be beat with it's view over the water. The Good Oil - on George St, and near some local designer stores, it serves the best coffee in town in my humble opinion. Albar - a super cosy bar full of character just near the centre of town. Velvet Burger - now this may be a bit controversial, but I'll be honest and say that I prefer the burgers at Velvet over those at Fergburger in Queenstown. Just sayin'! There's lots of things to see in Dunedin, with some of the more famous being the Albatross Sanctuary, Larnachs Castle, the Cadbury factory and the harbour, however for me Dunedin is all about the beautiful coastline and architecture. I highly recommend taking the Southern Scenic route down the coast and towards the Catlins. There you can stop off at places like Black Head, Tunnel Beach, Ocean View and the fishing village of Taieri Mouth. Other beaches worth checking out include Alan's Beach, Sandfly Bay, and of course St. Clair. Architecturally, the railway station is definitely worth a look, with lots of beautiful details to take in. Walking around town you will notice most of the shops and buildings ooze character and are full of gorgeous elements. Otago Farmers Market - every Saturday, rain, hail or shine is the Oatgo Farmers market, held at the historic Dunedin railway station. Farmers and growers from all over the region come here to sell their finest produce. It's buzzing with heaps of locals and the food is incredible. We were fortunate to have arrived smack bang in the middle of cherry season, and we gorged ourselves! So good! 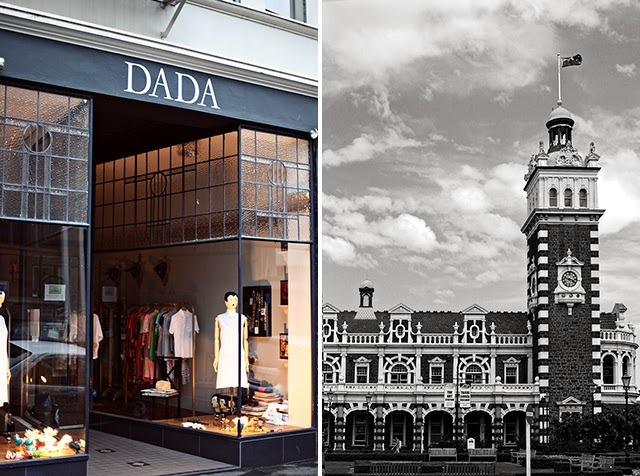 Dada, Plume and Company of Strangers - for fashion and accessories by local Dunedin and New Zealand designers, head to these super cool stores. 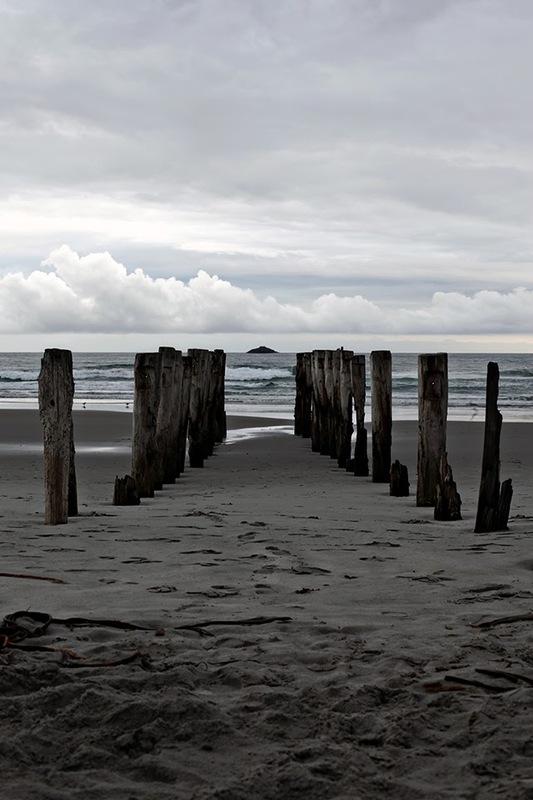 Very inspiring and a great glimpse of innovative Kiwi design. Preservation Society - if vintage is your thing, this is the place to go. I've found many unique and quality pieces in this store. Definitely worth a visit. 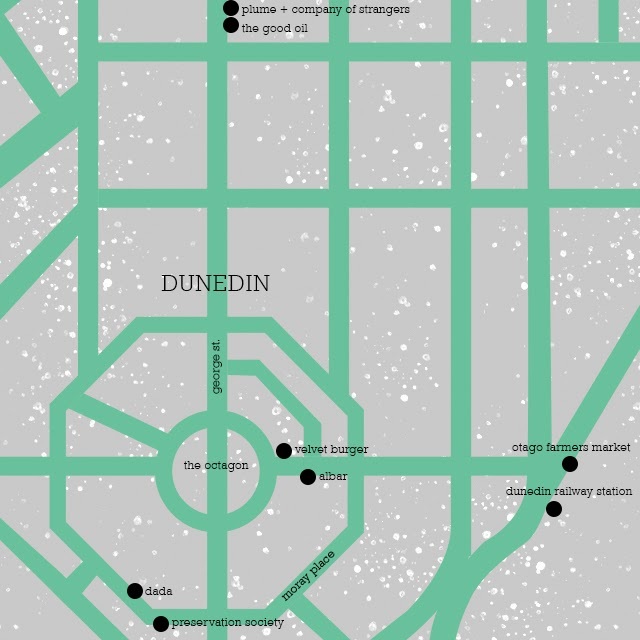 If you are planning to visit Dunedin, do check out the official tourism page too, as there is heaps of good stuff there to add to your list of things to do! How did you get around NZ? Did you do the rent a car & camp thing or something else? Your photos are so beautiful and make me so impatient for my trip to NZ this year!! Hi Jacqueline, we hired a car and stayed with family. However I have done the campervan thing too and loved it! NZ is so gorgeous, you'll have an amazing time over there!